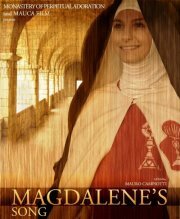 "Magdalene's Song," is a film by Mauro Campiotti about Blessed Mary Magdalene of the Incarnation (Caterina Sordini) foundress of the Perpetual Adorers of the Blessed Sacrament, an order of contemplative nuns who had an extraordinary relationship with the Lord and devotion to the Church in a time of great difficulty. This film was the third in a series of four films on "Interesting Lives for Our Times" sponsored by the Siena Forum for Faith & Culture and Crossroads Cultural Center. The Director, Mauro Campiotti, and 4 nuns from the Perpetual Adorers of the Blessed Sacrament were present to answer questions at the end of the film. Thanks to Rita Simmonds and Tom Sullivan for the pictures. I loved this film and I look forward to having a copy of it. I recommend seeing "Magdalene's Song." 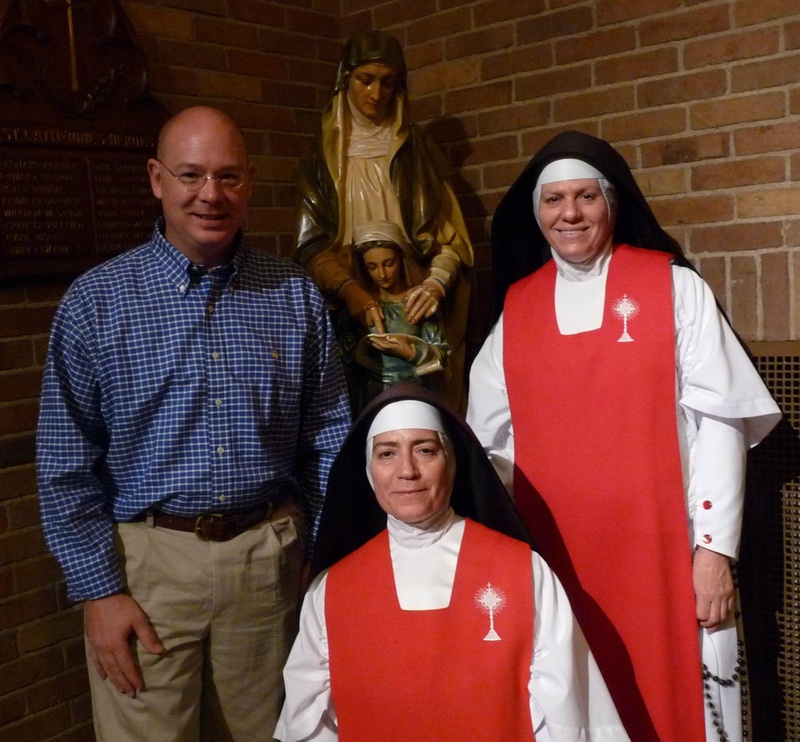 A great treat was meeting the nuns who are a part of the order founded by Blessed Mary Magdalene. These two sisters are also blood sisters and there's a third sister who's a sister. Here's a blog post on the Blessed Mary Magdalene and here order. 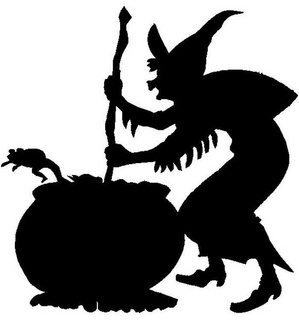 This page is a archive of entries in the Culture category from October 2011. Culture: September 2011 is the previous archive. Culture: November 2011 is the next archive.